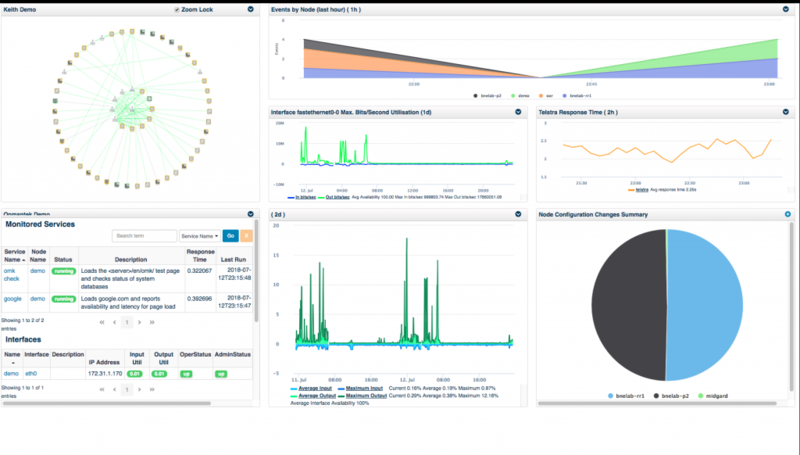 Scalable, flexible, and easy to implement, NMIS is one of the world's most popular network management systems. Extend NMIS with our modules and increase your performance, scalability, awareness and control. NMIS classifies events on their business impact, not their technical nature. The engine takes a short time to configure and then it's custom to your operating environment. Add opEvents to even automate the event remediation of event management. Operations can see how device performance is impacting the health of a single device, a group of devices or of the whole network. Add opCharts to see these impacts on topological maps. NMIS measures a baseline of availability, response time and performance, and automatically shows the changes when compared to the previous period baseline. Add in opTrend to intelligently identify outliers to your baselines. 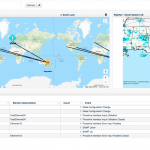 From the largest distributed global environments down to a single office implementation, NMIS handles the data, rules, and presentation. If you add in opHA there is no limit to what you can manage in a single pane of glass. NMIS allows for customised alert escalation to suit your business. Escalate events based on your organisational structure, operational hours or chain of command. Add opEvents to even automate the event remediation of event management. Scalable, flexible, easy to implement and maintain NMIS is the Network Management platform that underpins the operations of tens of thousands of organizations worldwide – making it one of the most widely used open source Network Management Systems in the world today. NMIS monitors the status and performance of an organization’s IT environment, assists in identification and rectification of faults, and provides valuable information for IT departments to plan infrastructure changes and investment. NMIS has been implemented globally in networks from as little as 5 devices to hundreds of thousands of devices – from routers and wireless to storage and servers (any IT infrastructure). NMIS currently supports 10,000 vendors. Its unique device modelling capability allows for quick and easy addition of new management support for devices with no coding required. Our developers continually update NMIS with input from the community. The NMIS core is, and will always remain, open source. In the real world, a full outage on one device may be less critical than a partial outage on another. NMIS classifies events on their business impact, not their technical nature – the rules engine only takes minutes to configure (small number of devices) or hours (large number of devices). 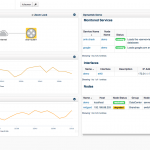 Deploy NMIS probes throughout your network, no charge, no complexity. Massive networks can be managed, bottlenecks avoided and zero cost redundancy is a reality. IT JUST WORKS: Yes, install it and it actually just works. This is a rare accomplishment in the Network Management field! Integrated Fault and Performance Management. Graphs can be produced on the fly. Graphing period is flexible, graphs can have varying lengths – up to 1 year. Graphing of Interface, CPU, Memory stats. Interface statistics are returned in utilisation and/or bits per second. Response time graphed and metrics for health and availability generated from statistics collected. Threshold engine which send alerts when thresholds are exceeded. Varying event levels for different device types. Color coded events, status for at a glance interpretation. Event levels are set according to how important the device is to the organizations (see Business Rules Engine). Events are stateful including thresholds, meaning that an event is only issued once. 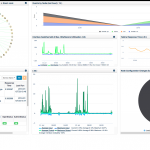 Integrated logging facility to view NMIS events and syslog messages. Planned outages can be put in so alerts are not issued. Find function which searches interface information for node name, interface name, description, type, IP address, for matching interfaces. Interface information includes IP address information. Checking of changes to device details. NMIS stores contacts and location information which links to the SNMP sysContact and sysLocation MIBS. Produces DNS LOC records for “visible” traceroute utilities. Produces DNS LOC records for “visible” traceroute utitlities. Powerful out of the box reporting. Reports to assist in planning and measurements against KPIs. 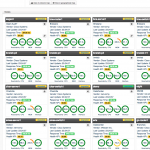 Live Summary of entire managed environment into a single metric, which indicates reachability, availability, health and response time of all devices being managed. If it has an IP address, NMIS can manage it and it will leverage the key IP of NMIS. If it doesn’t have an IP address NMIS can probably manage it too! Event levels are set according to how important the device is to the business. Policy Based Actions – business actions for people to follow when a fault occurs. 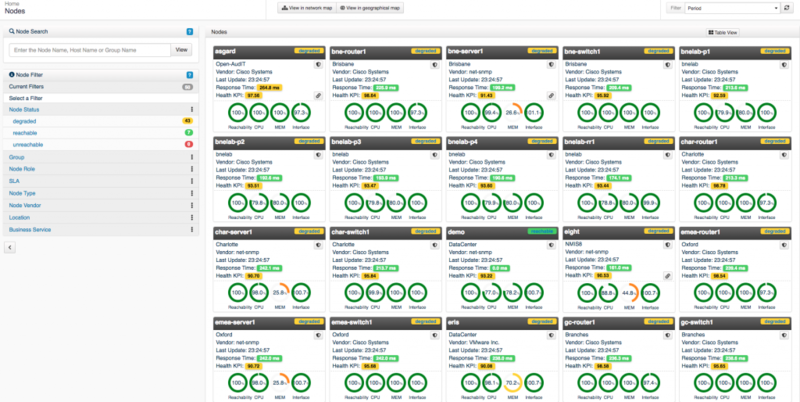 Escalation subsystem based on device groups which provides high granularity. Notification engine can handle any “command line” notification method, including email, paging, signs, speakers, etc. Integrated event manager, allowing a list of active events with an escalation level. Snapshot and dynamic reporting for metrics on all devices and groups of devices. UI desgined to provide specilized views to assist in “seeing the wood from the trees” in large environments. For more information, download the full datasheet here. Download the Virtual Machine Download NMIS Only!